She was a visionary willing to share her view of a better world that includes a place for each of us, side by side, as one. She was also the founder of Sahaja Yoga, a unique meditation technique and a worldwide movement in over a 100 countries. Sahaja Yoga Meditation is the practical application of her vision. Unlike many other visionaries, Shri Mataji had a practical solution to turn her vision into reality. Her experience was deep. From her days in the ashram of Mahatma Gandhi to her nation’s fight for freedom, she showed that she very much understood this world. She knew who we were and where we were going. She knew our culture better than we do, our souls and our dreams. In short what she offered was something very simple. This something is Self-Realization. In 1970 Shri Mataji discovered a technique to trigger the awakening of the primordial Inner Energy within each human being. Since then, She traveled extensively to educate and enlighten people all over the world. Her unique discovery has already transformed millions of lives and many more transformations are to come. Shri Mataji’s humanitarian and spiritual work draws admiration not only from countless individuals across the globe who have personally benefited from her teachings, but also from governments, dignitaries, educational institutions and organizations. She was nominated for the Nobel Peace Prize twice and received The UN Peace Medal, in addition to having a large number of other international awards and recognitions. Enlightenment, attainment and vision are not just the property of the distant past, nor the promise of a remote future. One day promises have to be fulfilled. We cannot always live in the realm of future hope. As Shri Mataji Nirmala Devi would say, “It can all happen now”. At the 8th BRICS summit 2016, a world conference of leaders for international relations and security, a participant Sahaja Yogi had a chance to read the following article about the Islamic State from a Sahaja perspective- Why ISIS. After it was read, the BRICS committee was so impressed that they have included Sahaja Yoga to be a part of all their future summits and conferences. BRICS stands for Brazil, Russia, India, China and South Africa. “A country’s youth is its greatest wealth because it is its most precious potential. But the glitter of gold also attracts thieves. Thieves like ISIS are stealing it. In the past they stole over 3000 young men and 500 European girls. The youngsters joined ISIS not because they were Muslims or subscribed to its ideology, but because they were sick of their robotic lives and sought adventure, or they were disillusioned teenagers trying to find purpose and score a goal inside their head. Mind you these were highly educated youth in high profile jobs! Not just that, the ISIS propaganda machine is engineered by smart tech-savvy young brains produced by the top American Universities like Harvard, Yale, Princeton etc. It belies the myth that education makes a man, or smartness is akin to wisdom. Yes, education is an essential element but it has failed to provide safety valves to protect the world’s most precious gold. But why seek the safety valve elsewhere when it is placed within us since our creation. Socrates said, ‘know Thyself’. The self is the universal being within us. Chinese philosophers Confucius and Lao Ste described it as an energy ‘chi’. This indwelling energy is also described as the cool wind of the Holy Ghost in Christianity, Ruach in the Hebraic scriptures and kundalini in the ancient Indian texts. As we connect with our kundalini she opens this safety valve. Intuition flows through the valve and enables us to recognize the wolf in the lamb’s clothes. But wait, the intuition not only protects us but also expands our awareness into collective consciousness. The light of collective conscious helps us to integrate. As we integrate it becomes possible to understand who we are inside, and hence realize that we are no different from everyone else. We are cells in one cosmic body, and if one cell has cancer it spreads to the whole body. The late President Roosevelt said something similar; poverty anywhere is a threat to prosperity everywhere. As we integrate, we no more have to imagine ‘all men are brothers’ but it is a living experience because we feel unconditional love for our global family on our central nervous system. Today the human race is once again bonding as thousands of youth who are enjoying the peaceful vibrations of their kundalini are spreading those vibrations to others. Apart from transmuting the vacuum in their lives their kundalini also transcends their attention to a new Gandhian- Lincoln high, and hence they don’t have to ramp up any other dose. Thus, our kundalini is not only the catalyst for bonding the human race but also provides modern solutions to the age old problems of terrorism, fundamentalism, fascism, racialism and immorality. We cannot solve modern problems with worn out tools; we need a baggage – free postmodern youth with open minds and ignited spirits. In recent days, humanity has managed to gain unprecedented access to Pluto and her neighborhood. This achievement of human seeking endeavor reflects our inner evolution. Our inner subtle system of chakras and channels maps to other sysetms in the universe, including our Sun’s planetary system. Mars corresponds to the first chakra, moon to the left channel, sun to the right channel and 6th chakra. Pluto corresponds to the crown chakra. The crown chakra was a mystery, much like Pluto. This mysterious region of our subtle system was demystified with the revolutionary work of Shri Mataji, that resulted in the en masse opening of the crown chakra, the Sahasrara. This phase of our inner evolution began with Shri Mataji’s opening of the collective crown chakra in 1970, and as all external achievements follow inner achievements, human’s destiny to reach this heavenly body was on course. Let us celebrate the external achievement that acknowledges what humanity has truly achieved in recent times: unfettered, unrestricted access to the 7th heaven within – the Sahasrara Chakra. Today is a Birthday of the great Austrian composer Wolfgang Amadeus Mozart (27 January 1756 – 5 December 1791), who was truly the master of western classical music. Born Realized, he showed prodigious musical ability from the age of three. Already competent on keyboard and violin, he composed from the age of five and performed before European royalty. The phenomenally talented child became the object of scientific research in London. 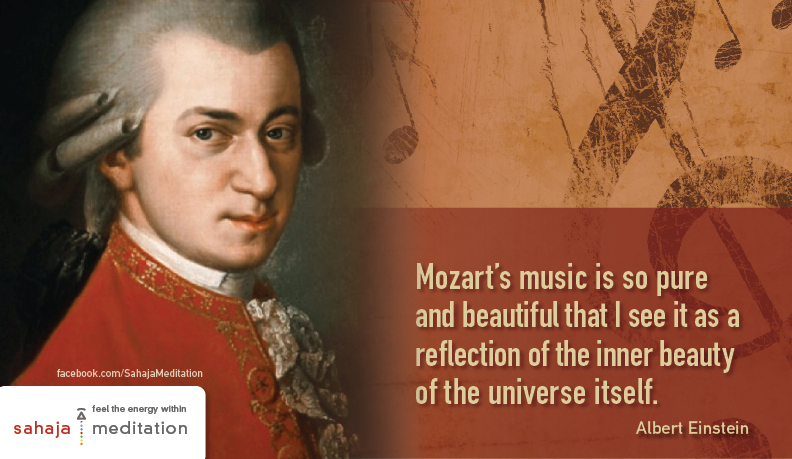 Mozart’s music activates the central channel of the human subtle system. In his opera The Magic Flute, he express the qualities of the seeker of truth through the characters of Tamino and Pamina and those of the Adi Guru through the character of Sarastro (Zarathustra). Yoann Freget, a 25 year old Sahaja yogi, wins The Voice 2 of France on May 18, 2013. The talent from the Garou team, beat his competitors in the public voting. Yoann has won realization of his first album and the hearts of the big audience. He prevailed at the end of the final stage where he performed hits like “In Another World” by Celine Dion and “Earth Song” by Michael Jackson. In his duet with Zaz, Yoann reprized the song “I Want” together with his coach Garou, and sang “Amazing Grace” by Elvis Presley. Will.i.am, the leader of the famous American hip hop band Black Eyed Peas, who sang that evening with all the four finalists, announced that he will create a single for the winner of the Voice 2. So it is Yoann who will be working with will.i.am, and his upcoming new single will be the first part of will.i.am’s concert in Paris in December. Enjoy the video of the “Earth Song” performance by Yoann at the Voice grande final. “It’s a Man’s Man’s Man’s World” (James Brown) sang by Yoann at the semifinal. Shri Mataji Nirmala Devi, the founder of Sahaja Yoga meditation, always focused on the power of innocence, which is the quality of the first energy center – Mooladhara. 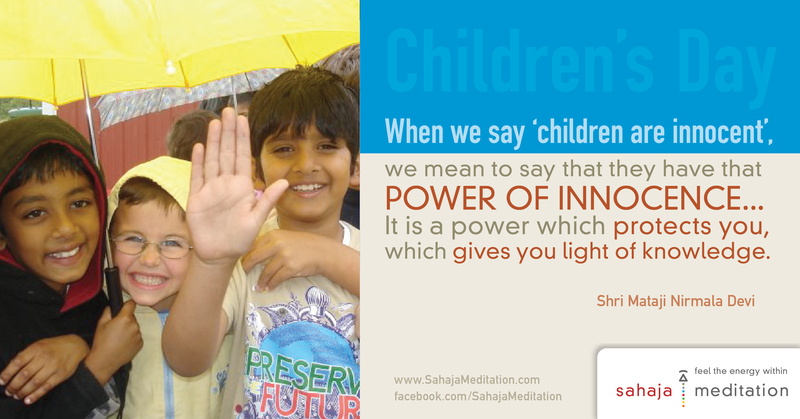 All children are born with the strong Mooladharas, and that’s why they are innocent. “Innocence is such a great thing that it cannot be destroyed. It is the quality of the Spirit. It has all the wisdom of the world, all the understanding of the world; and when anybody tries to harm the innocence, the world, the whole world – which may not have cared so much for innocence, might not have worshiped innocence so much – they all stand up against anybody who tries to harm the innocence. You can see in your own lives around you, when anybody tries to trouble children – all of the them, whatever they are, whatever they are coming from, whatever maybe their nationality, they all jump, all jump to control and to safeguard that child. What is it? What is it within us that makes us so very conscious to protect the innocence? It’s really a shame, a great shame for us, when we find in this world that innocence is under attack. Anything else can be tolerated. Motherhood is the Highest Thing! 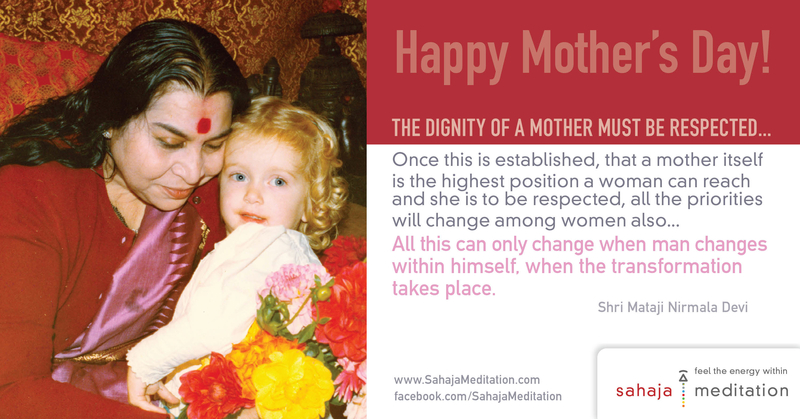 In recognition of Her strength, love, devotion and compassion, many people call Her “Mother”. She treated everybody as Her own child. 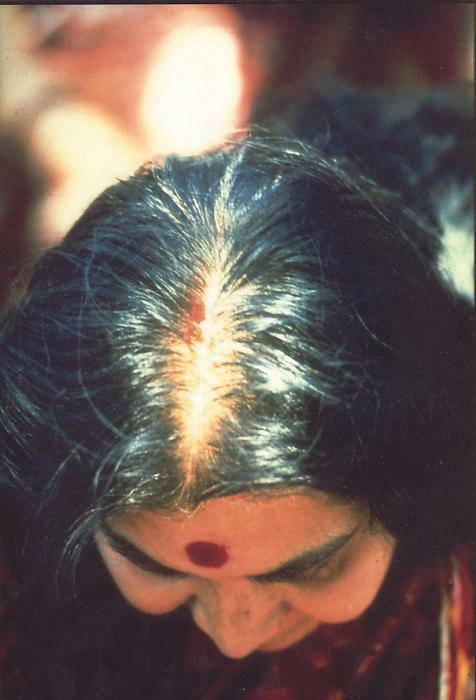 Personal care and attention were hallmarks of Shri Mataji’s programs.